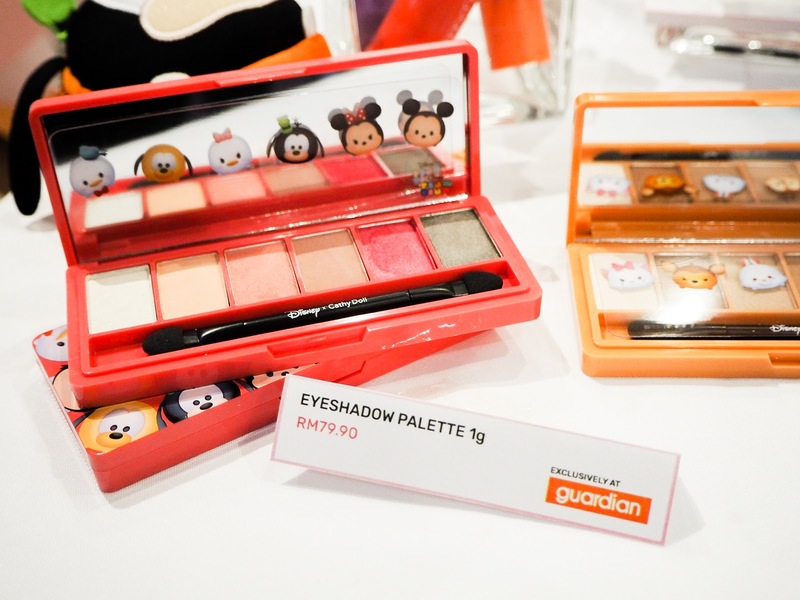 The first time I spotted these cute Tsum Tsum makeup collection it was in Thailand and I'm so happy to let everybody know that it is now available in Malaysia as well and exclusively at Guardian!! 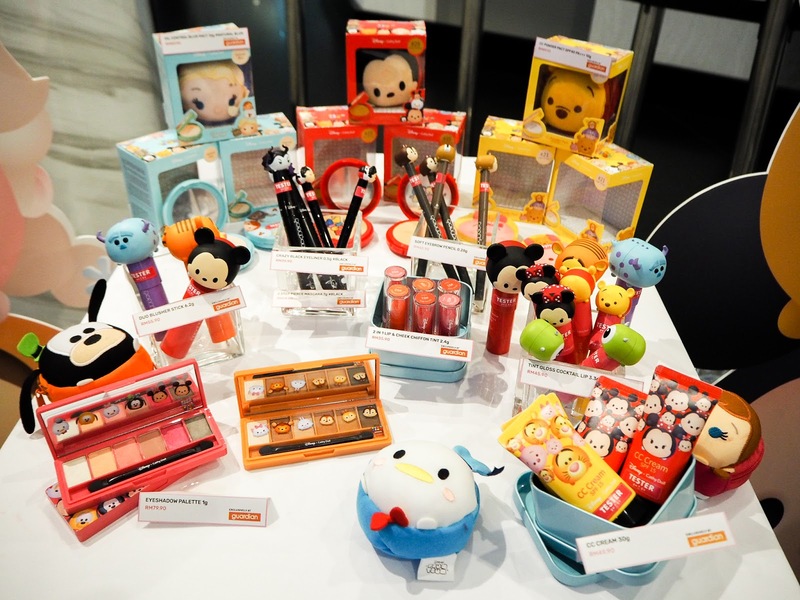 Tsum Tusm fans can now get ready with the full make up set with Tsum Tsum designs on it and if you're a collector don't miss out adding these into your collection it'll only be available while stock last. The irresistible range is a collaboration between Cathy Doll and Disney packed in popular Tsum Tsum characters such as Mickey and Minne, Goofy, Donald Duck, Pooh, Piglet, Tiger, Eeyore, Elsa, Anna and Olaf from Frozen! My favorite is definitely the Mickey and Minnie! The whole collection varies from CC cream, powder pact with up to SPF40, oil control blur pact, blusher sticks, soft eyebrow pencils, black eyeliners, mascara, eyeshadow palettes, 2 in 1 lip & cheek chiffon tint and gloss cocktail lipstick. 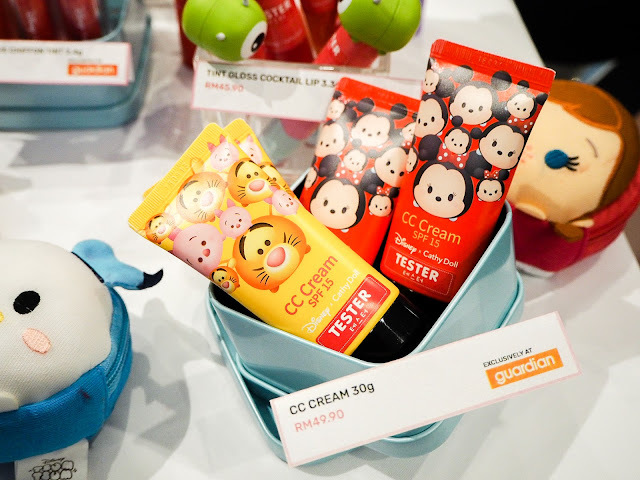 In conjunction with the launch, Guardian is having a booth at Mid Valley lower ground atrium. For the first 100 customers who spend more than RM100 on Disney Tsum Tsum products, you'll receive a limited edition plush Tsum Tsum Mickey Drawstring Bag. 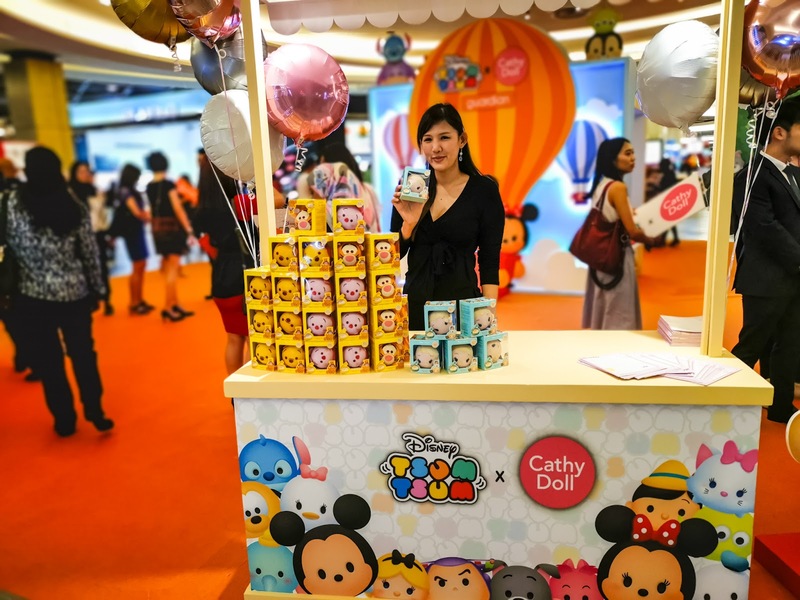 Meanwhile, don't forget to participate in a lucky draw from 1 February to 28 February there's 5 pieces of Limited Edition Disney Tsum Tsum Cathy Doll Vintage Luggage Bags to be won. Just purchase RM150 and above of Disney Tsum Tsum x Cathy Doll products, go into Guardian's Facebook page to scan the QR code or click on the link, upload your receipt, fill up your details and answer a simple question.